Today, June 6, is DDay. The day the allies landed on the beaches of Normandy and began the liberation of France, which ultimately ended WWII. Usually DDay commands the front page of both daily newspapers. It didn't today, eclipsed by the tragedy in Moncton - another war on a different front. Yes, there were a few mentions of the importance of June 6, 1944 on FB and some in French on Twitter. However, there were just a few. I guess that 70 years is a long time to remember those who made the ultimate sacrifice. I am reminded, though, of that sacrifice, whenever I walk through Mt. Pleasant cemetery, which, these days, is often daily. I scan the tombstones for interesting names or for interesting dates. I do the math - some lived into their 90s, others died in infancy. 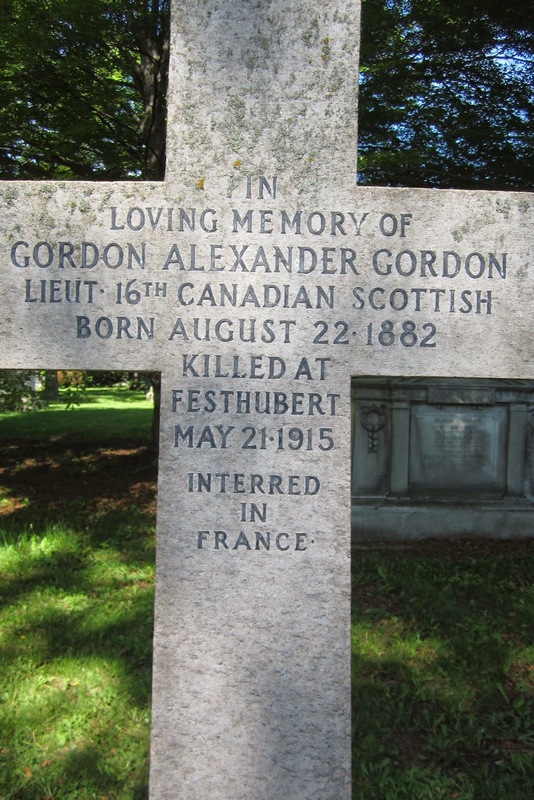 This is when, I occasionally come across a marker that notes a son, killed in France or Belgium, or somewhere else in Europe, because of the war(s). Sometimes there is a mention of two sons and one sad marker lists three. I can't imagine the pain of being told that your children have been lost. All the more painful because it would happened slowly over time - months or years apart. One by one the letters would come or officials would knock at the door with the sad news. I grieve then and deal somewhat with survivor's guilt. "You did this for us?" I ask the rhetorical question, which may never be answered. The least we can do is remember their strength on significant days, such as today. The picture? OK it's not WWII, but does it really matter? The fact is that too many died, for too few reasons and now too few have managed to remember that fact. I think that the last line says it all. Too many didn't come home! !